This tutorial uses the Ultra WordPress theme. You are entitled to a hosting discount from Bluehost. This tutorial provides a step by step guide for how to create a website using WordPress in 2018. This tutorial uses the Divi WordPress theme. You are entitled to a hosting discount from Bluehost. In this video, we provide a step by step WordPress website tutorial showing you how to make your own website from scratch. This tutorial uses the Ultra WordPress theme. You are entitled to a hosting discount from Bluehost. This tutorial provides a step by step guide for how to make a business website using WordPress in 2018. This tutorial uses the Olsen WordPress theme. You are entitled to a hosting discount from Bluehost. Tags: WordPress Fundamentals. Website. Blog. This tutorial uses the Ultra WordPress theme. You are entitled to a hosting discount from Bluehost. This theme provides an overview of how to get started with WordPress narrated by Morgan Freeman. Affiliate disclosure: Some of the links provided on this website are affiliate links. 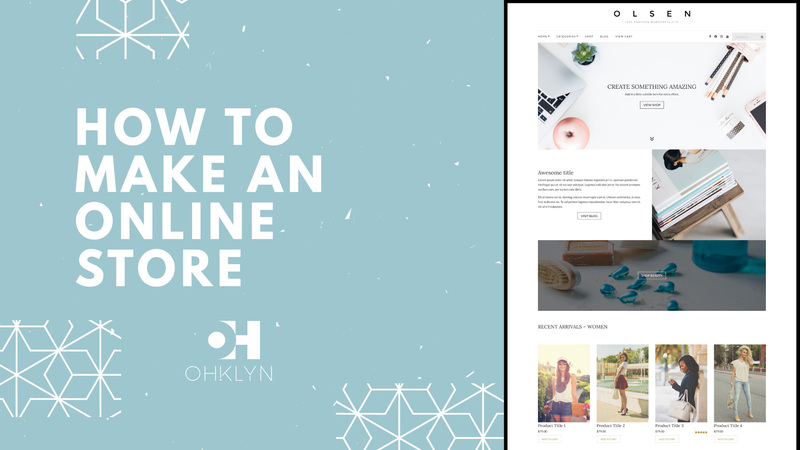 This means that if you click on the link and purchase the product, OHKLYN will receive a referral or ‘affiliate’ commission. We only refer products that we use, trust, and believe in.